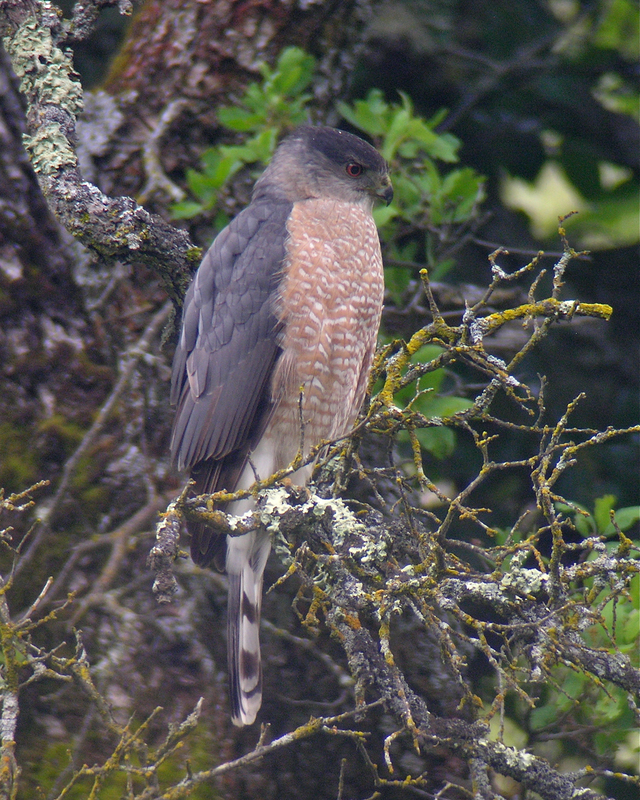 The accipiter seen here shows some of the classic field marks of Cooper's Hawk, with a large squared head, pale nape and rounded tail. Taken at Mitchel Canyon, Mt. Diablo State Park.